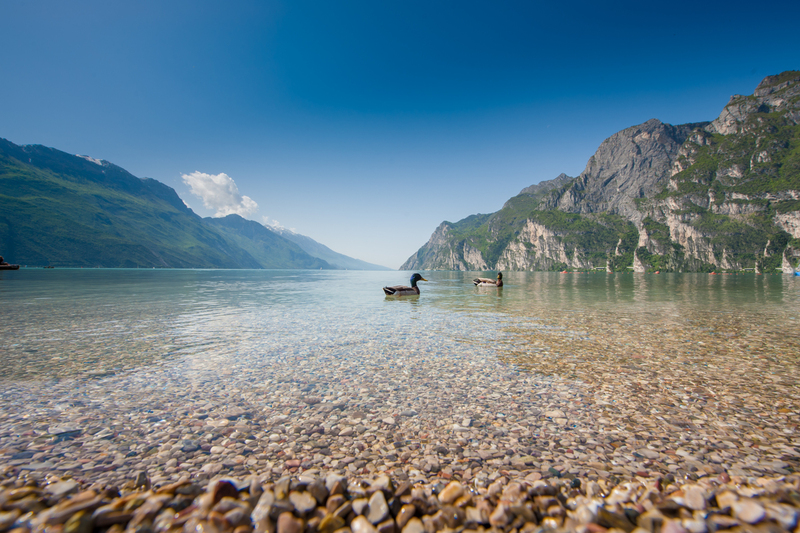 With its wonderful combination of green spaces and urban charm, Riva del Garda is one of the best spots for a weekend stay on Lake Garda. It is the principal town of the Garda area and is renowned for its Mediterranean climate, with sunny summers and mild winters. Even with the awe-inspiring peaks of Monte Rocchetta and Monte Brione towering above, the area is known for its pleasant temperatures all year round. With conditions like these it’s the ideal base for outdoor sports: running, wind surfing, canoeing, sailing, and trekking. Mountain and road biking are particularly popular in Trentino in Spring and Summer. If you’re a bike lover, book your vacation at Hotel Gabry, our bike hotel on Lake Garda offering many special services just for your needs. 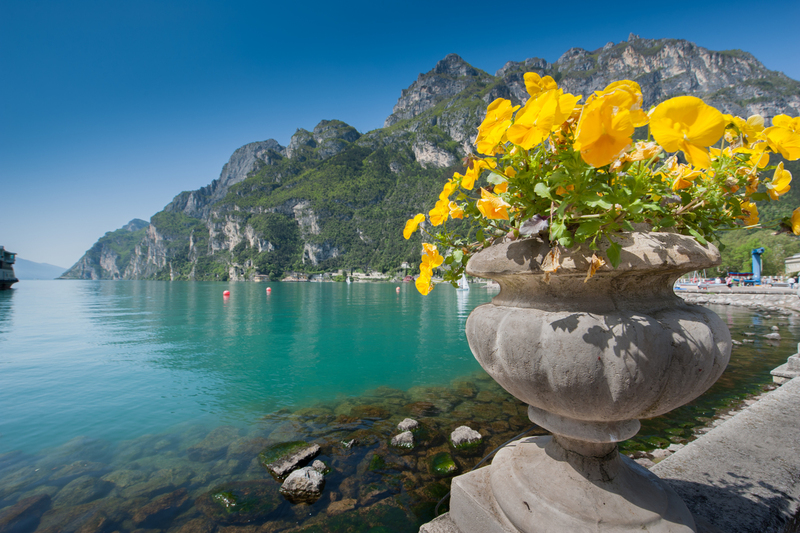 Thanks to its small size, it’s easy to visit Riva del Garda in a weekend, allowing plenty of time to take in all its colors, scents, and landscapes. 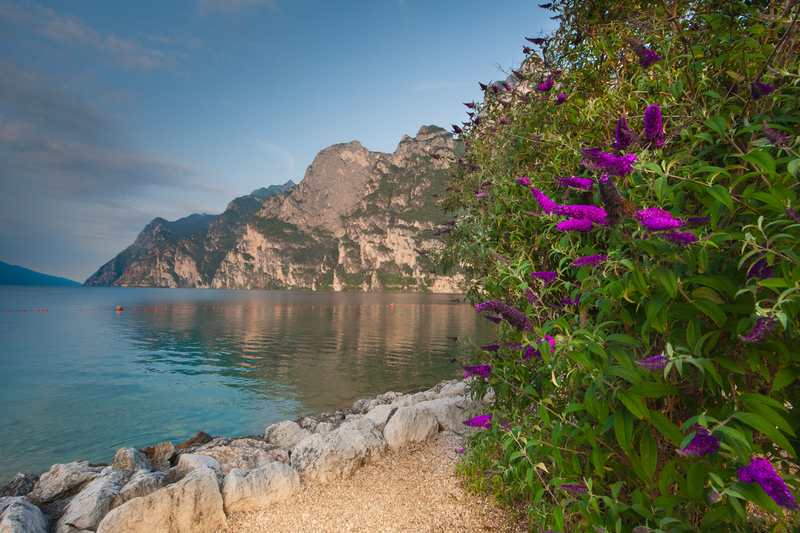 Start your visit with a must-see of any Lake Garda vacation: a long, relaxing walk along the lakeside path, the Lungolago. We suggest you begin at Casa Rossa, on the Gardesana Occidentale, enjoying each step of this classic Italian tradition, the promenade. 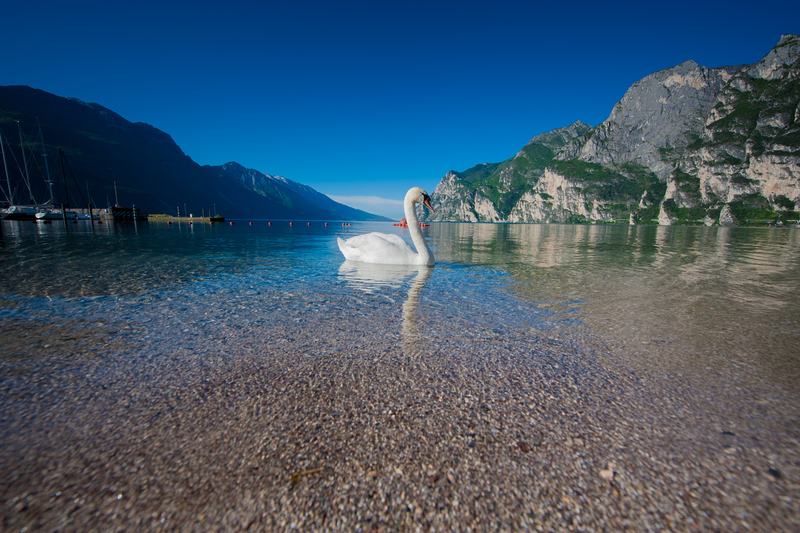 After crossing through the historic center of Riva del Garda, with its green areas and pretty lanes, you’ll reach the beaches and harbor, which connects our town with that of Torbole sul Garda. Coming back into the historic center, stop at some unmissable local sights, starting with the Chiesa dell’Inviolata. Although it has no piazza and seems a little plain on the outside this church is full of treasures inside. In an octagonal shape with five altars, the vaulted ceiling covered with frescoes and stucco-work, shows the original Baroque origins, dating in fact back to 1603. After a visit to the Chiesa dell’Inviolata, open daily from 9am to 5pm, stop at the city admin area. Take in the medieval character of the Palazzo Pretorio, which contains Roman remains, and the Palazzo Municipale whose charming arcades once housed markets and shops. Another site to see in Riva del Garda is the medieval fortress, the Rocca, which is surrounded by four towers and with facades from different eras. With its distinctive canal, the fortification quickly became the military symbol of the town soon after it was built. Today it hosts events, exhibitions and festivals, as well as being home to the Pinacoteca and municipal museum. 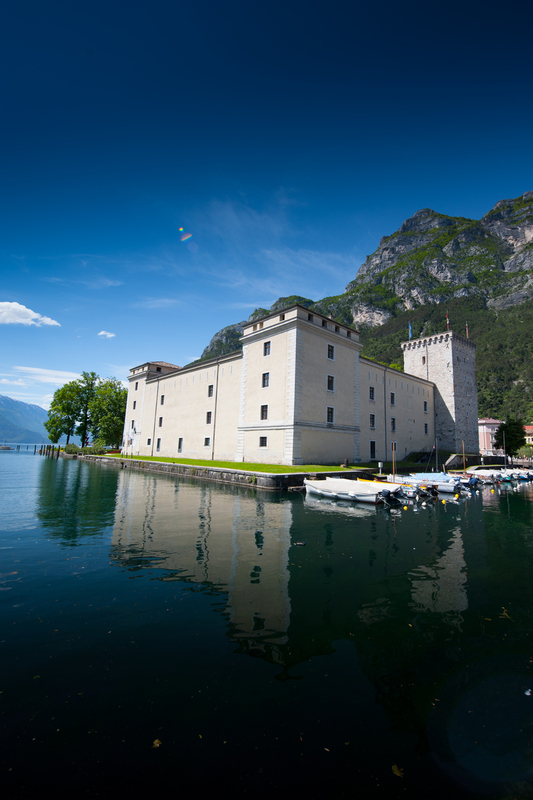 End your walk through Riva del Garda with a tour of the Torre Apponale, the real symbol of the town. Dating back to the 13th century, this impressive construction reaches a height of 34 meters. From the top, 165 stories up, you can enjoy views over the whole Garda region in all its glory. Note the interesting weather vane beside you: an angel with a trumpet (l’anzolìm de la tor). 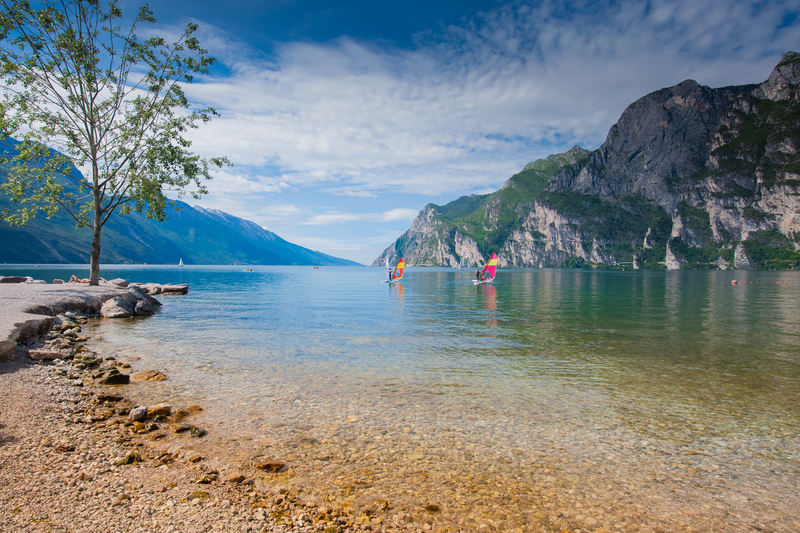 If you’re a fan of hiking, you can fit in a few hours during your Lake Garda weekend for treks along the Ponale or Busatte-Tempesta trails.